Position Summary Responsible for mixing and serving drinks, alcoholic and non-alcoholic, to customers, directly or through wait staff. Presents menus to customers and answers questions about menu items, making recommendations upon request. Garnishes and decorates dishes in preparation for serving. Writes customer’s food and beverage orders on order slips and enters orders into computer for transmittal to kitchen staff. Serves food and beverage orders to customers and prepares or serve specialty dishes at tables as required. Serves wine and bottled or draft beer. Mixes ingredients, such as liquor, soda, water, sugar, and bitters, to prepare cocktails and other drinks. Operates Point of Sales (POS) system and collects money for drinks served. Checks identification of customers to verify age requirement for purchase of alcohol. Serves customer from start to finish including greeting, educating, obtaining orders, entering orders, delivering orders, and accepting payment in a prompt, efficient, and courteous basis. Monitors, controls, and tracks all product waste. Adheres to all OLCC and Chinook Winds Casino Resort policies and procedures regarding alcohol service. Maintains, transports and delivers product, beer, liquor and wine inventory to bar and service locations. Sets up and tears down portable bar systems in convention center and other specialty events. 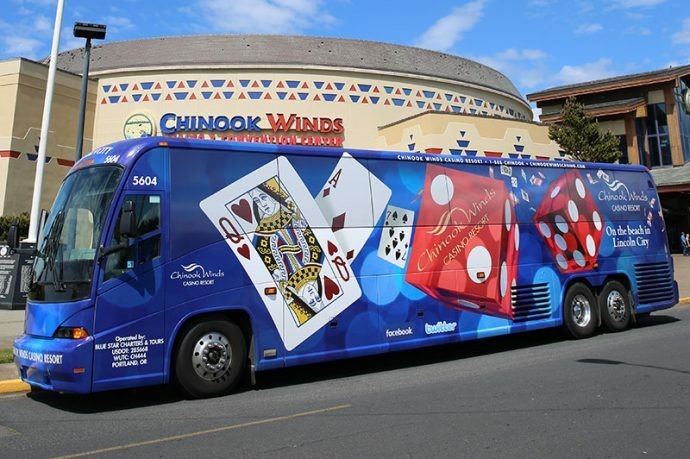 Performs all duties in accordance with Chinook Winds Casino Resort customer service standards. Provides input or recommendations for improvements/changes in program processes or services. Working Under Pressure- Ability to complete assigned tasks under stressful situations.